You’ve started fleshing out the business idea you believe will be the next hottest seller. But before you quit your day job in aspirational hopes of joining the ranks of Bill Gates and Steve Jobs, you must know if your offering provides value to a specific customer. Will a certain type of person or group of people be interested in what you have to sell? Not all customers are created equal; some will be more interested in your offering than others. Not everyone needs a high-tech trash can, not everyone needs the latest social media platform, and not every company needs to buy professional grade hair clippers. This sounds important (It is). How do I do it? Segmentation occurs in four specific forms: geographic segmentation, demographic segmentation, psychographic segmentation, and behavior segmentation. When considering geography, look at different boundaries such as the region, country, population or climate of an area that you are targeting. Demographics are specific qualities of your ideal consumer, so age, gender, nationality, ethnicity, occupation, income and education should be considered. Psychographics include personality, lifestyle, and motivation of the consumer. Behavioral factors will include usage, benefits sought, or loyalty. Following the defined segmentation process of dividing the market into homogeneous groups, you can move on to targeting: identifying the right segment to pursue. The last step of the process is positioning, which is the process of building a conceptual brand focus around the targeted customer segment. Strategic segmentation is a pivotal component of strategic planning as it sets the company up for long-term success. When market segmentation is analyzed and communicated, resources can be distributed more effectively through research-backed marketing decisions. I. Segment 1: Functionality focused - this group will buy a cheap watch simply so they can have the time on their wrist. II. Segment 2: Fashion focused - these people want a watch for the purpose of looking suave and making a fashion statement. III. Segment 3: Status watch wearers - People who want to wear the best brands because they can afford it and flaunt it. Great! We identified the market segments. Now, which segments make the most sense for Rolex specifically to target? Segment 1 fits more for the Timex brand - a cost-conscious product focused on functionality. Segment 2 could fit Rolex, however, many consumers who want a fashionable watch don’t necessarily want an expensive, artisanally-made watch, but rather a colorful wardrobe accessory. The best, most realistic segment for the Rolex product is Segment 3 - those who want to boldly flaunt the fact that they’ve arrived at the top level of wild success. Tagline: The Benchmark for Excellence. Disclaimer at the top of their website reads: Only official Rolex retailers are allowed to sell and maintain a Rolex. They guarantee the authenticity of each and every part of your Rolex, not to mention its reliability over time, helping you make the choice that will last a lifetime. Slogan: Timeless style, recognizable at a glance. 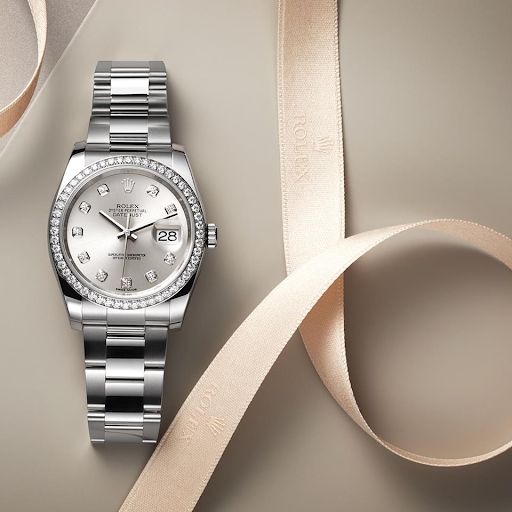 The intentional messaging that Rolex promotes appeals to Segment 3 - their ideal purchaser. In their marketing, they encourage exclusivity, high standards, class differentiation, and style. That being said, we recommend B2B organizations segment by 3 different measurements: Firmographics, Value, and Needs. We rank these three identifications from simplest to most difficult to identify. Firmographics are relatively inexpensive to collect and use. Firmographics can identify meaningful market segments for businesses, nonprofits and governmental entities. The downfall? Conclusions either can’t be drawn or are very limited if you’re ONLY focusing on firmographics for your B2B segmentation. The next step to enriching your segmentation is to move onto the “value” stage. This approach is forward-thinking because it ranks the importance of a customer/lead based on the most important factor - how much that customer can potentially bring in terms of value. Although value may be an important complement to firmographics, it is still important to move forward to the “needs” stage. Stopping at value and expecting success is unrealistic, as you can’t assume the needs of all customers are the same. Needs, while they may be the most difficult to identify, are the most fruitful for your business. Have you ever heard of the quote, “Nothing worth having comes easy?” Needs of your customers may be difficult to determine or define, but once this piece is complete, your segmentation strategy becomes highly scalable. Why? Because the marketing and sales team can designate as many needs-based segments as they desire. Whether you are a B2C air freshener company or a B2B manufacturer, understanding your audience is fundamental to the success of your business. Segmentation is one of the most crucial steps in the strategic planning process, especially when entering new global markets. If you would like an objective eye for your business’ segmentation, please contact us via email (hello@castusglobal.com) or submit a form on our contact page.